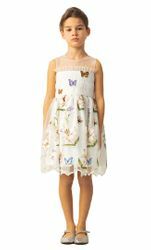 Little Fashions Boutique - is an online children's boutique where you will find trendy girls & boys clothing from baby & toddler to size 20 girls and size 16 boys. We make online clothes shopping an easy task. 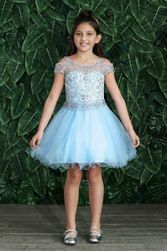 Our children's boutique specializes in special occasion girls dresses, tween clothing, baby girl clothes & dresses, toddler girl clothing & dresses, little girls clothes- size 4 to 6X, tween girls dresses, winter coats, girls swimwear, casual outfits for girls, boys clothing, unique and extraordinary girls shoes and accessories from the finest US and European designers. We carry a large selection of designer girls clothing brands such as: PilyQ Swimwear , Biscotti & Kate Mack Dresses, Hannah Banana, Baby Sara, Ooh! La La Couture, Special Occasion Girls Dresses, Halabaloo Dresses for Girls, Submarine Swimsuits & Clothing, Appaman Boys & Girls, Mia New York, Isobella & Chloe, Les Tout Petits, Haute Baby Infant & Toddler Clothing, Frilly Frocks, Elisa B Tween, Coastal Projections Sequined Shoes, Dolls & Divas, Le Chic Girls Coats, Truly Me Tween Dresses, Ragdoll & Rockets Tween Clothing, Lelli Kelly Shoes, Mae Li Rose, Zoe Ltd Dresses, Amiana Shoes, and lots more. Little Fashions Online Boutique continuously looks for new and fun brands for girls and boys that you and your little ones may like. We are confident that you will be satisfied with our selection of products, ease of shopping and superior customer service! Enjoy your shopping!